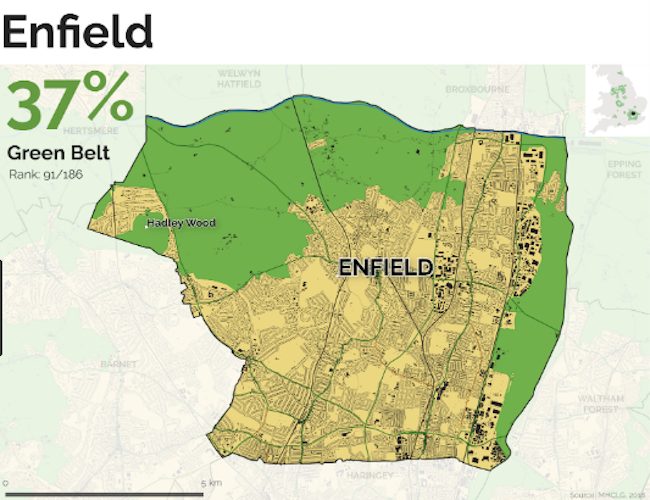 The borough of Enfield could become a key Green Belt battleground after development for new housing was mooted in the council’s latest local plan document. Consultation on the plan, the blueprint for development in the borough up to 2036, opened this week and runs until 28 February next year. Some 37 per cent of Enfield is designated Green Belt land and therefore strongly protected under regional and national planning policy. 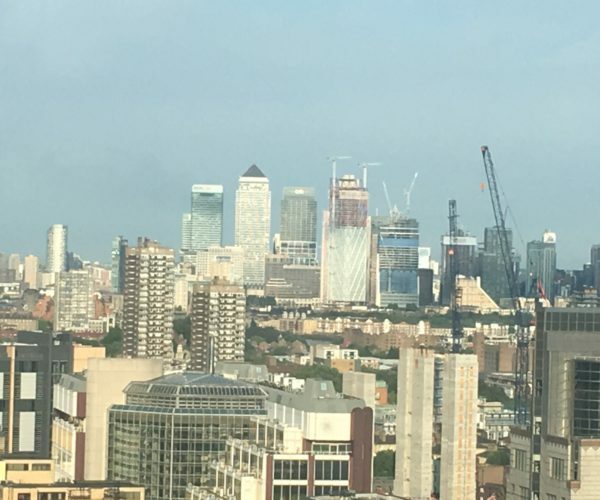 But with a new homes target of 1,876 a year, raised by London Mayor Sadiq Khan from 798 annually under Boris Johnson, the council’s draft proposes a fresh look at Green Belt boundaries. The plan will not be adopted until 2020, but political battle lines are being drawn with City Hall in the spotlight as well, according to reporting by the Enfield Independent and new community newspaper Enfield Dispatch. “You can’t trust the Labour council with the Green Belt,” says Conservative opposition leader Joanne Laban, while Labour’s cabinet member for property and assets Ahmet Oykener has defended the draft plan. 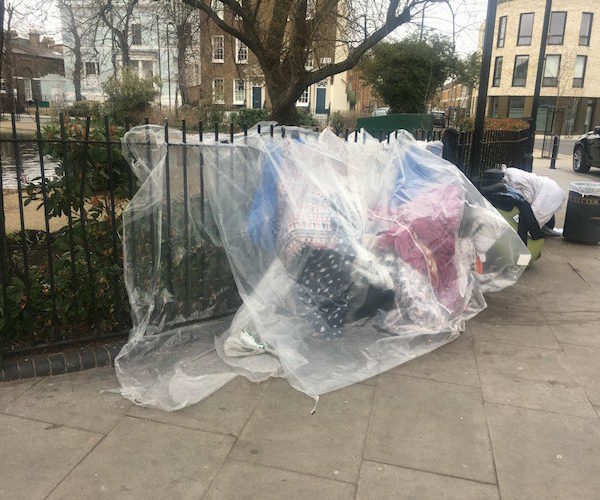 “We will always prefer to meet Enfield’s housing needs by building on brownfield and town centre sites, but our Local Plan also needs to consider other options,” he says. Mayor Khan was brought into the Enfield debate last month when quizzed by Tory London Assembly Member Andrew Boff. “If it is the case that their local plan is in breach of our policies, then I will do what I normally do, which is to object to it,” the Khan told the Assembly. And in one of his first planning decisions, Khan blocked plans for a new stadium for Cray Wanderers football club, community pitches and 28 homes on Green Belt land in Chislehurst. Notwithstanding that decision, Cray Wanderers, the oldest football club in London, is now celebrating after a revised application, less obtrusive and with 100 per cent affordable housing, won City Hall approval last month. While the new application had significant support plus backing from Bromley council and local MP Bob Neill, the Green Belt will continue to be controversial. Mayor Khan’s re-election in 2020 looks straightforward. But with his commanding 27 point lead over Tory rival Shaun Bailey falling to nine per cent in Outer London, Green Belt planning decisions could still have a significant part to play. The image used with this article is from Alasdair Rae’s excellent Green Belt Atlas.